I agree that there’s no head, but this is one of the spiciest/pumpkiny brews I’ve found! I’m sure there are better ones out there, but we don’t have a huge selection, either. Or a World Market. 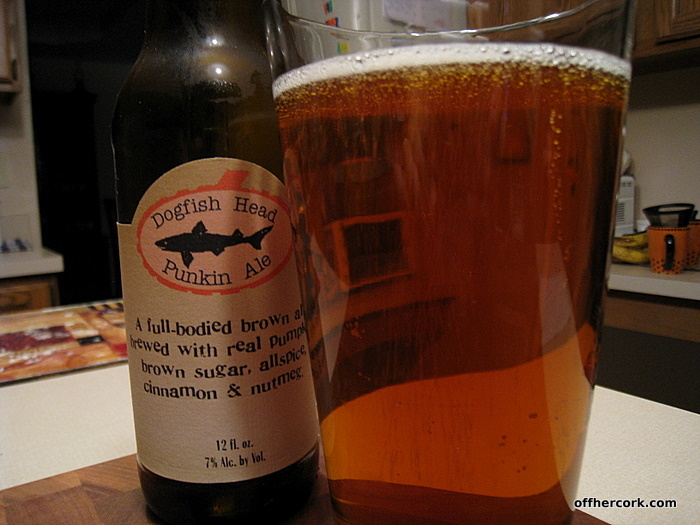 My girlfriend and I love Dogfish Punkin ale. However, If you are looking for powerful pumpkin flavor that hits you from start to finish this might not be your favorite. I think they have found a very happy middle ground with pumpkin flavor mixed with some malt, caramel, and brown sugar. I’m wondering if you have tried Southern Tier Pumking? Great Review…I loved that you hit the aspects of smell and color and not just the taste factor. 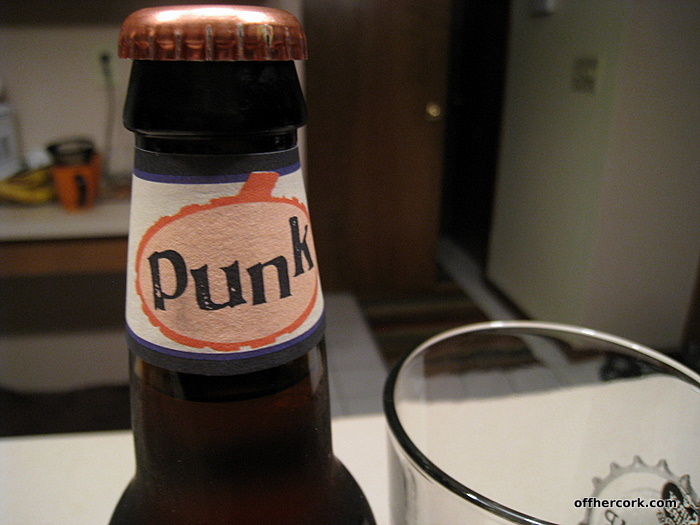 I really want to try a pumpkin ale. I will try some other kind that this. THanks for the heads up!! I really have to try a pumpkin ale after these reviews and b/c of my love for pumpkin. I’m going to wait for you to post your favorite, though! Thankfully we have places like World Market and Andersons where we can buy beers by the bottle to try them out. I’ve definitely had a few duds. Have you checked out Andersons? The Sawmill store just had a big makeover, and they’ve always had a big liquor section. As for pumpkin beer, the only ones I’ve had so far this year are the Sam Adams Oktoberfest (not sure if that counts) and the Harvest Ale, also by Sam Adams. Hmm…that’s kinda lame. I still need to work through all the other singles I picked up. Anyhow, the Oktoberfest isn’t as good as I remember and the Harvest one didn’t seem too different. Maybe a little spicier, but nothing all that great. AGREE! I really didn’t like the Punk! and it didn’t live up to all the hype. However, if you can get Saranac Pumpkin Ale it’s the best pumpkin beer I’ve had all fall. I am obsessed but now I’m curious to try some others. I love Dogfish Head’s Festiva Peche more than the punkin. I did notice that the pumpkin flavor is there at the first sip and that’s it! Kind of a bummer. Andy and I have a few pumpkin beers to review soon. We’ll see how they compare.